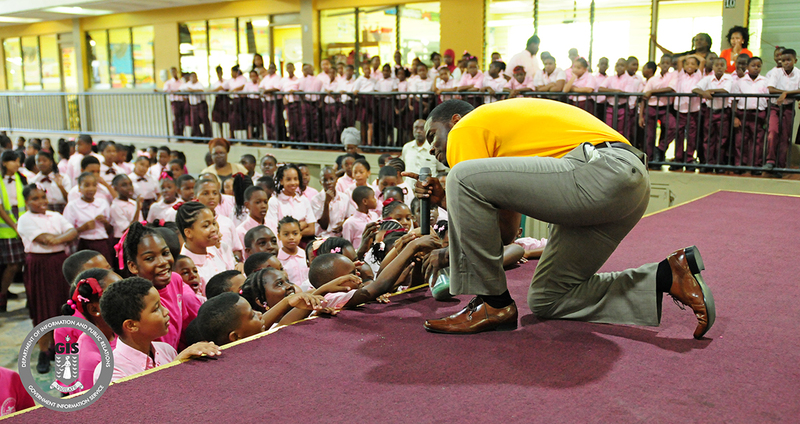 The Government of the Virgin Islands launched the Energy and Conservation: Education and Awareness Campaign today April 19. The campaign began with visits to the Althea Scatliffe Primary School and Agape Total Life Academy by Minister for Communications and Works, Honourable Mark Vanterpool and other officials. Minister Vanterpool, while addressing the students, said he was pleased with the launch of the programme and is confident about the campaign’s success, as the students are very smart, quick to learn and eager to put what they learn into practice. A team of presenters from the respective groups highlighted the importance of reducing, reusing and recycling as well as the Government’s hopes for integrating 30 percent of the Territory’s electricity grid with renewable energy by 2023. The ministry will continue this campaign in all schools in the Territory including private schools. The strategy is part of the public relations aspect of the Energy Policy that is being drafting by the Ministry of Communications and Works for approval by Cabinet. The campaign comprises several school visits, radio and television appearances, community meetings and outreach programmes, pilot programmes, advertisements and public service announcements. For more information about the public relations campaign or when the team will be visiting your school and/or district, please contact Ms. Nekita Turnbull at the Ministry of Communications and Works at 468-2183.